Now that Steven Soderbergh has completed his Liberace film Behind The Candelabra for HBO and taken his parting shots at the film industry on the fast track to early retirement, he’s set up shop at a new website, Extension 765, essentially a marketplace for his favorite things. Amid the movie props and Bolivian liquor, there’s quite an array of t-shirts, but they’re not your typical movie-spoiler or promo shirts. 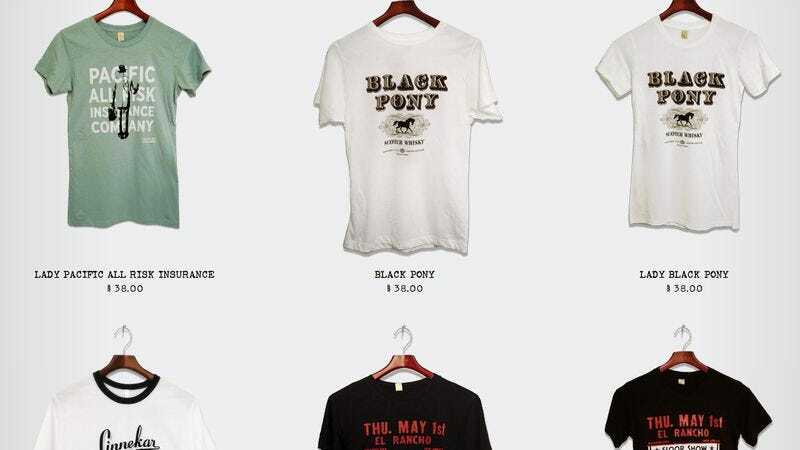 Soderbergh writes that for film shirts “the design work is kind of inconsistent, and more importantly, the references tend toward the obvious. So this is our attempt to address those issues,” introducing a line of apparel with references ranging from some intermediate Citizen Kane to the outlandishly obscure—the license plate number in The French Connection and a whiskey brand from a five-second pan in Laura. We won’t list out every film here, but it’s a nice little advanced trivia game to go through and match the films to Soderbergh’s favorite obscure references.